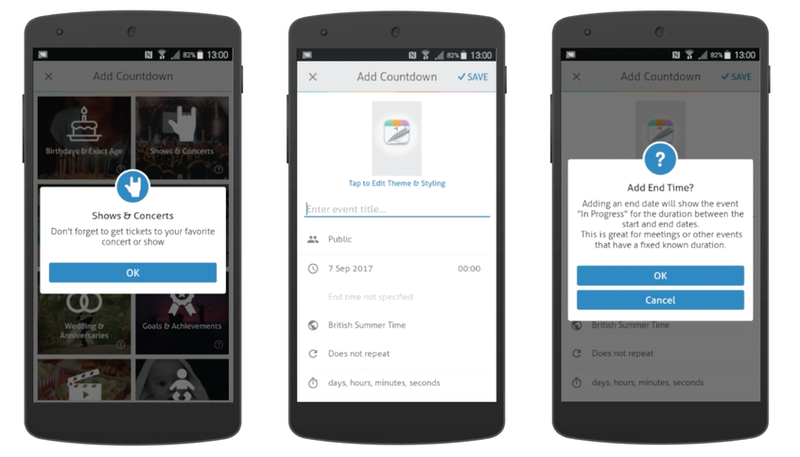 With Version 4.0 we have a whole new bunch of countdown types, since we know a lot of you countdown to different types of events. 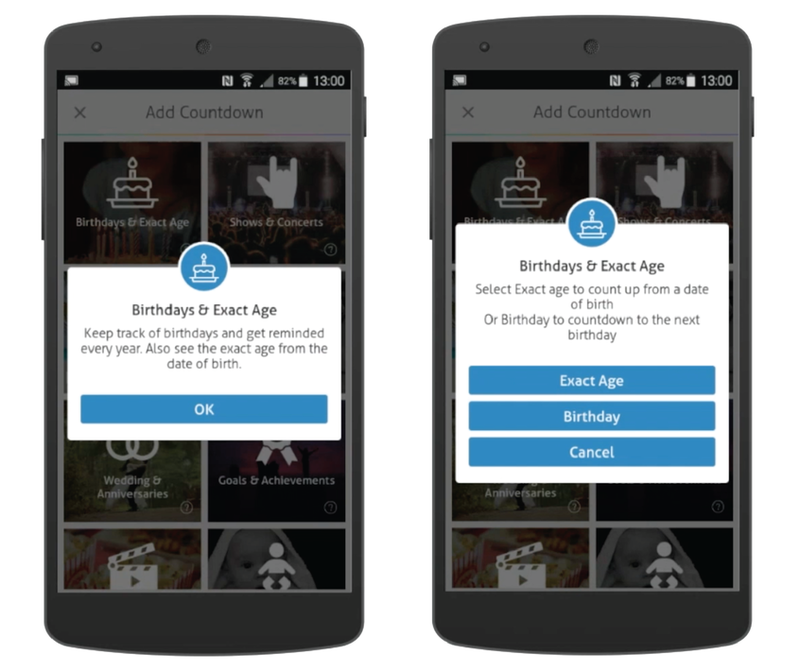 Birthdays & Exact Age, Keep track of birthdays and get reminded every year. Also see the exact age from the date of birth. When tapping on Birthdays and Exact Age, you will see two options. Exact age will count up from a date of birth or birthday to countdown to next birthday. Shows and Concerts, don’t forget to get tickets to your favourite concert or show. 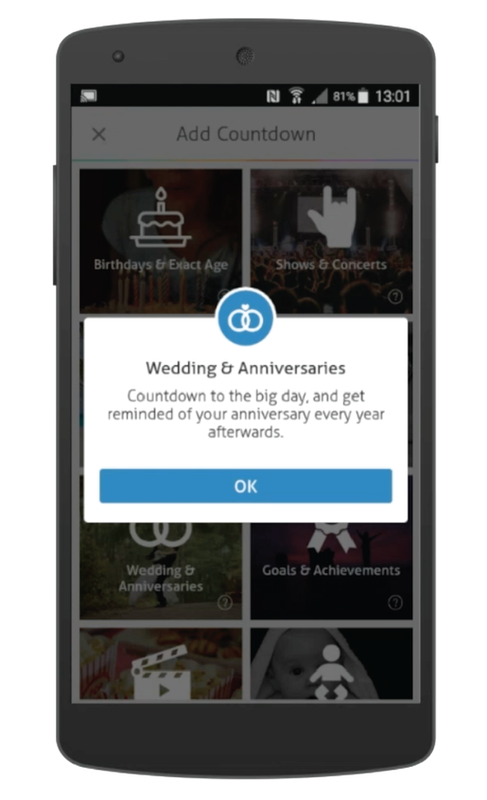 With this event type you can add an end date that will show the event as in progress for the duration between the start and end dates. 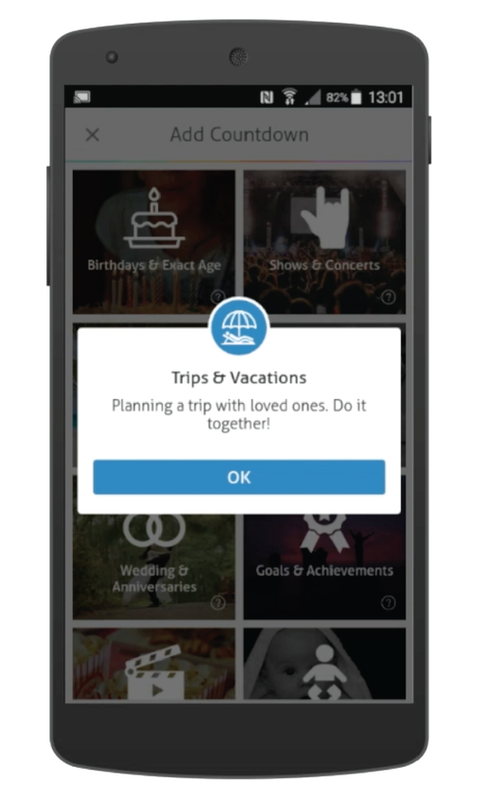 Trips and Vacation, planning a trip with loved ones. Do it together! This is also an event type that you can add an end date to. Sporting Events, countdown to the Olympics, world cup or when your favourite team is playing next! 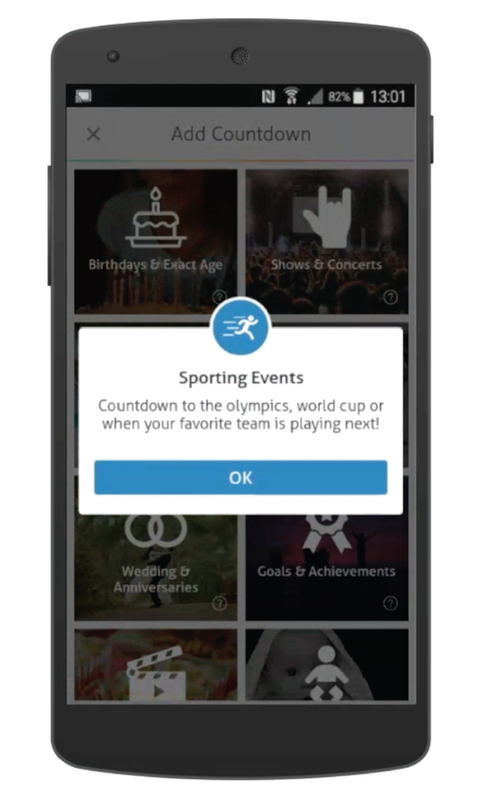 This is also an event type that you can add an end date to. Wedding and Anniversaries, countdown to the big day, and get reminded of your anniversary every year afterwards. If you want an event type that will show as on going event then this is the right one for you. 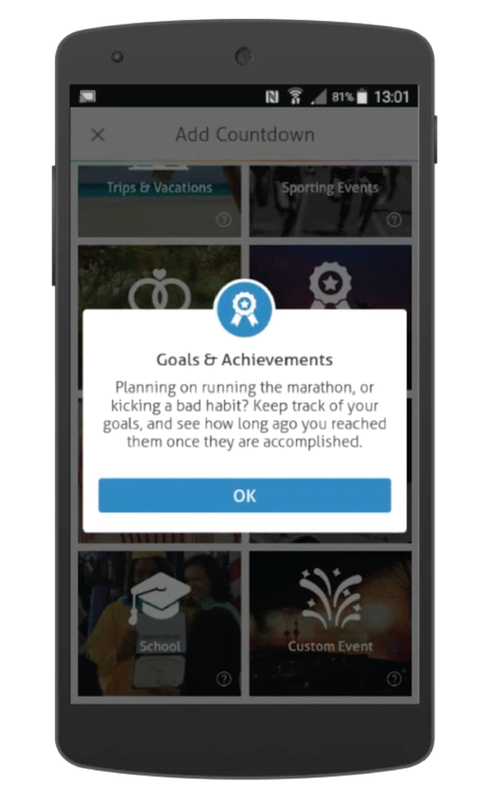 Goals and Achievements, planning on running the marathon, or kicking a bad habit? Keep track of your goals, and see how long ago you reached them once they are accomplished. 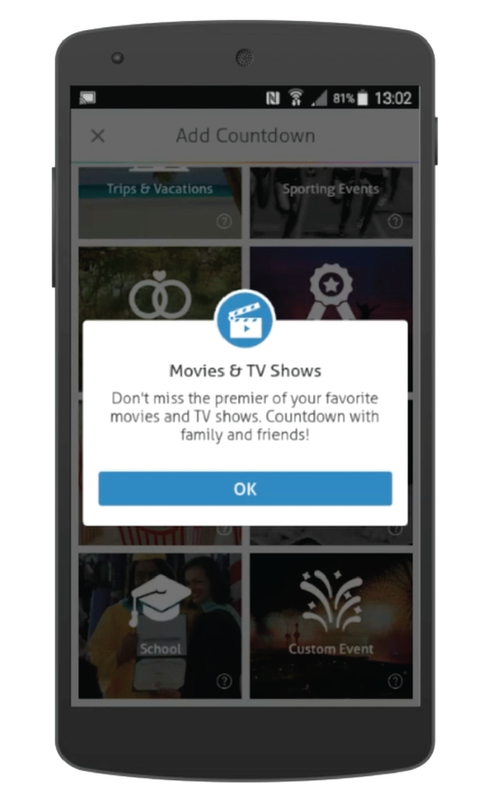 Movies and TV shows, don’t want to miss premier of your favourite movies and TV shows. Countdown with family and friends! This is also an event type that you can add an end date to. 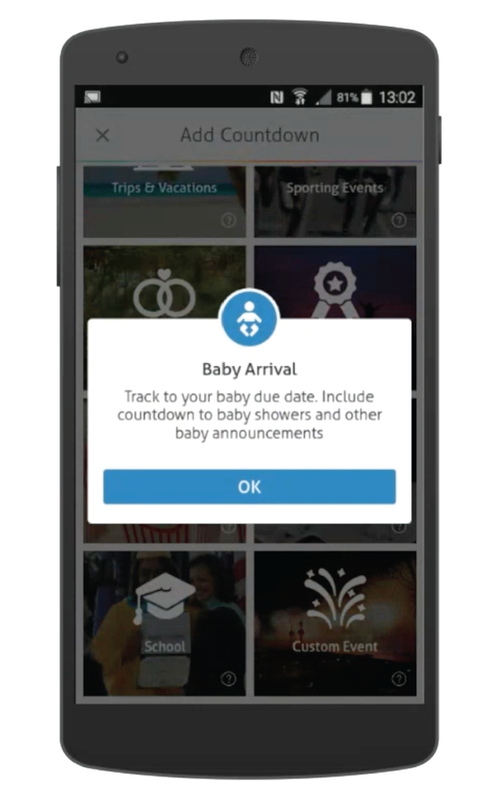 Baby Arrival, track to your baby due date. 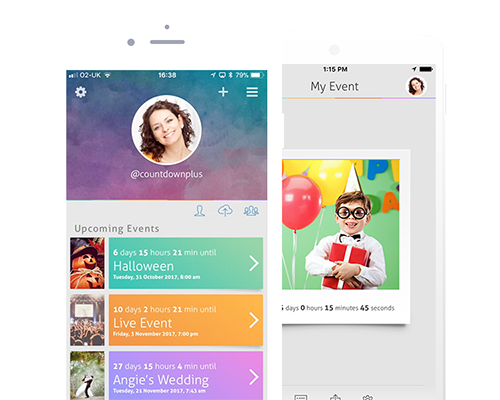 Include countdown to baby showers and other baby announcements. This is also an event type that you can add an end date to. School, keep track of how much longer you have to graduation, or even end of the current term. This is also an event type that you can add an end date to. Custom Event, can fully customize your countdown event. 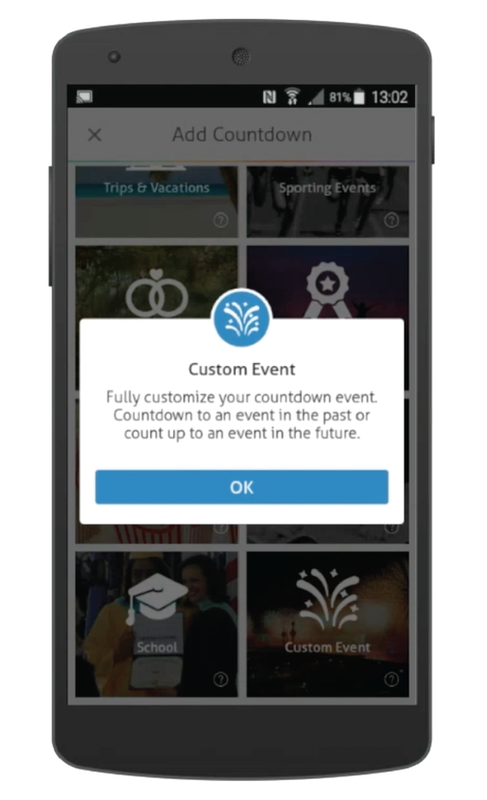 Countdown to an event in the past or count up to an event in the future.